A set of time-honoured classics which have delighted generations, full of tried-and-tested favourites that never fail to cast a spell. Here you’ll find comical stories, thrilling stories, gentle stories and exciting stories in a selection that belongs on any family bookshelf. Prepare yourself for chuckles and surprises at home with the lovable Large Family, and a visit from a stripy orange tiger who comes round for tea! 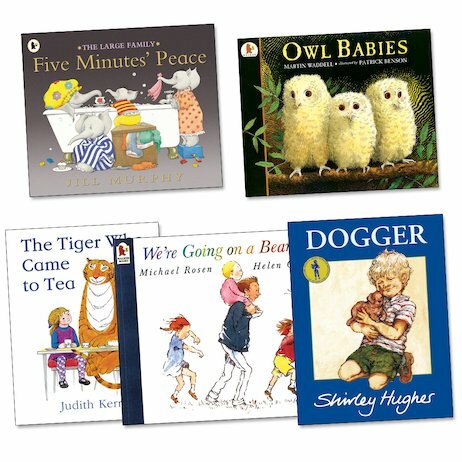 Or set off on a bear hunt, look for a lost toy in the classic story Dogger, and explore the night forest with some little owlets! Packed with true essentials that no child can resist, this pack has all you need for perfect storytimes and bedtimes.